Building your own pond or water garden can be hard work, but the results are extremely satisfying! Many do-it-yourselfers will consult a book, magazine article, or even a YouTube video before grabbing a shovel for their pond building project. Before putting spade to soil, remember that there are several things commonly overlooked by many a would-be water gardener. Often, enough thought isn’t given to the project because building a pond can look so simple … but these overlooked elements are important for successful pond building. Poor Location: Starting with the design, ponds are too often placed in an unused area of the property or in a low spot that collects water. Both of these locations cause problems. Unused areas of the landscape are unused for a reason and it’s a waste to put a key feature in an area that won’t be seen regularly. Out of sight, out of mind … meaning nobody will care for it. Low spots that collect water are challenging to build in (high water table) and water quality can suffer from too much runoff and pollutants entering the pond system. 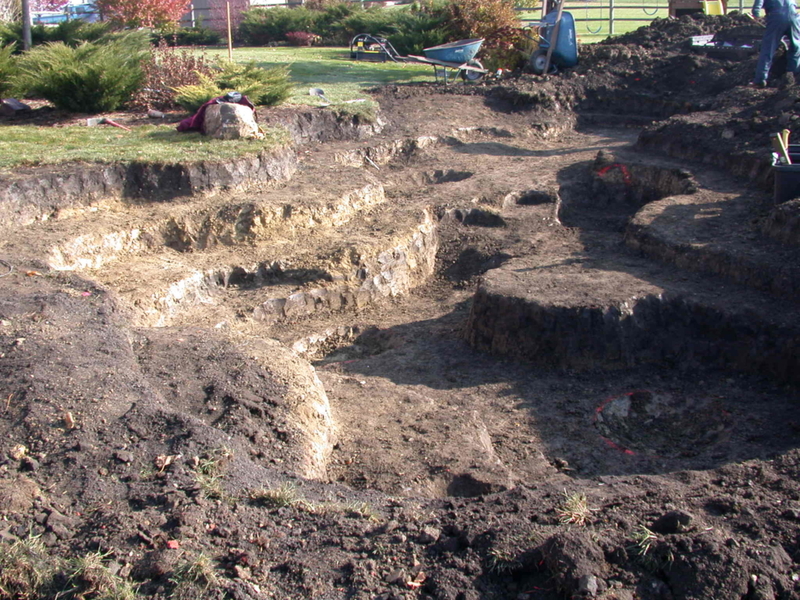 Underestimating Labor: Underestimating the amount of physical work involved with a pond installation is very common. Professional pond contractors are regularly called to complete ponds that are partially excavated by a homeowner. Unless you dig for a living it’s tougher than you think … and digging the pond is the easy part! Creating Steep Sides: Digging a deep pit with no provisions for shallow areas makes stacking stone on the inside of the pond very difficult. The excavation is unstable and since there aren’t shallow areas, it is difficult and dangerous to get in and out of the pond for maintenance. Plus, there’s no place or ledges for aquatic plants, the majority of which grow in less than 12″ of water. Improper Use of Rock and Stone: An installed pond is disguised with rock to give it a desired naturalistic appearance; a typical feature will use several tons of stone. That can be a lot of wear and tear on the family minivan and it needs to be moved and placed properly. Many do-it-yourselfers will decide this to be too much work and they’ll choose small, manageable stones that are easy to move and place. While the work might be easier, this results in the pond falling short of aesthetics. Also, the pond loses the structural importance provided by the larger, more difficult-to-move boulders. In some cases, the novice pond installer will just eliminate the stonework altogether, which can look bad. Without rock and gravel, the system fails to function properly because stone not only lends to the aesthetics of the feature, but it also functions as a habitat for colonization by a variety of benthic organisms from bacteria to crustaceans … all critical to the success of the feature. Lack of Proper Filtration: Consumer thought is that real lakes, rivers and streams function without pumps and filters, so why does their backyard pond need it? Well, that’s not even a close comparison because it’s completely different hydrology. Do-it-yourselfers sometime purchase inadequate filters or will purchase components “a la carte.” It may be cheaper to purchase the items piecemeal, but it’s challenging because different manufacturers use different fittings and they need to be rigged to work together versus having everything matched and designed to work as a unit. Efficiency and simplicity will create a better system for your pond.